Almost the same proportion of Daily Mail and Mail on Sunday readers would vote Leave in a second EU referendum despite the papers’ differing and outspoken editorial stances on Brexit, according to a new Yougov poll. 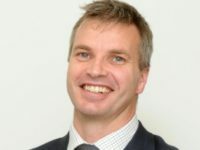 Paul Dacre, who edited the Daily Mail until last month, was a staunch Brexiteer in contrast with Remain-supporting Geordie Greig, who has just left the Mail on Sunday to replace him. 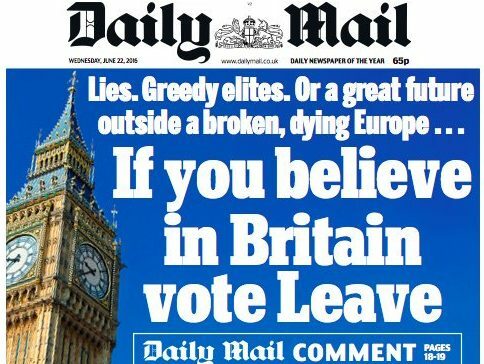 The Daily Mail’s pro-Brexit stance had been credited with helping to swing the referendum in June 2016, while the Mail on Sunday urged its readers to vote Remain. However according to the Yougov survey, carried out in conjunction with the People’s Vote campaign, 67 per cent of Daily Mail readers would vote to leave the EU in another referendum, compared to 69 per cent of Mail on Sunday readers. Fifty-six per cent of Mail Online readers would vote Leave. 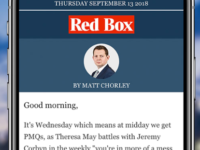 This month, during Greig’s first two weeks editing the Daily Mail, readers began to notice a “very different tone” in its news pages regarding its coverage of Brexit, and the newspaper’s equivalent of a “screaming handbrake turn” in the leader column. The Yougov poll asked 25,641 British adults about their views on Brexit between July and September this year and divided them up by their choice of news publication. Almost half of the Telegraph’s readers would vote to remain in the European Union if a second referendum was held despite the title’s strong pro-Brexit stance, the poll revealed. Forty-five per cent of Daily Telegraph readers would now vote to remain in the EU, as would 44 per cent of Sunday Telegraph readers. Online, 55 per cent of Telegraph readers would vote for Remain in a second referendum, a swing possibly indicating a younger demographic on the web. 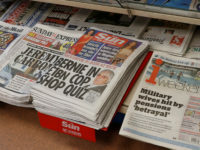 The Observer and the Guardian are the most pro-Remain newspaper per their readers, the Sun on Sunday, Daily Star Sunday and Sunday Express have the most readers who would vote Leave in a second referendum. The Daily Mirror’s readers are the most divided with a 50/50 split. The Daily Mail’s screeching and sudden u-turn has caused upset to many of its readers. 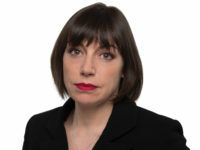 From being a Brexiters newspaper it has suddenly become polar opposite to its previous held views, that were parallel to many of the Mail’s readers who wanted the UK to stop being controlled by an undemocratic, inefficient and un-reformable organisation run by the EU Commission, where uncontrolled migration was a big issue for the working poor and many other segments of our society. The Daily Mail has betrayed people by encouraging readers to now support a Second Referendum and the Prime Minister’s worst ever deal with the EU Commission that isn’t in the best interests of the nation, regardless of what May and her lying henchmen might claim otherwise. 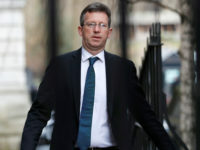 Geordie Greig has ruined the Daily Mail in one fell swoop.Does he believe Theresa May has struck gold with her plan for Brexit.The mere fact that the Europeans suddenly all think May has pulled a rabbit out of the hat suggests it must be everything that Europe wants.The Prime Minister is trying to deliver a Brexit worse than staying in Europe.Why has a Brexit newspaper chosen someone who is a remoaner to be Editor.If we wanted to read this biased drivel we can buy The Guardian or watch the BBC or Sky News.Just imagine a world where we keep our money and we don’t have to listen to Eurocrats.Anyone that voted for Brexit is not an extremist just sees what’s happening in Europe and wants out.